The word kaiseki derives from "stone in the bosom" that refers to ancient Zen monks' practice of tucking hot stones inside their kimono sash to ward off hunger pangs. Today, it has become an elaborate art form of multi-course culinary ritual that is deeply rooted in Japanese tradition, in particular Kyoto. California being California, it isn't much of a surprise that a remarkable example of kaiseki is found in an unassuming shop in a shopping plaza in San Mateo. Labeled only as "Japanese Kitchen" and sits right under a chiropractor's office, Wakuriya's warm and unobtrusive interior is a pleasant surprise as you enter. 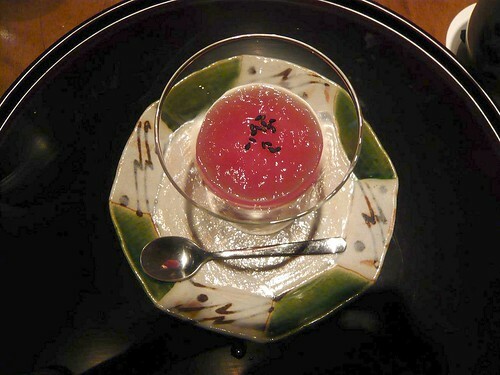 Wakuriya is run by a Japanese couple with the husband running the kitchen and the wife running the floor. Both of them started their careers in Kyoto. Chef Katsuhiro Yamasaki grew up in a sushi-ya in Wakayama and then became a chef in a long-standing Kaiseki restaurant in Kyoto, Kitcho. His wife Mayumi, not surprisingly, similarly started her career at Kitcho. 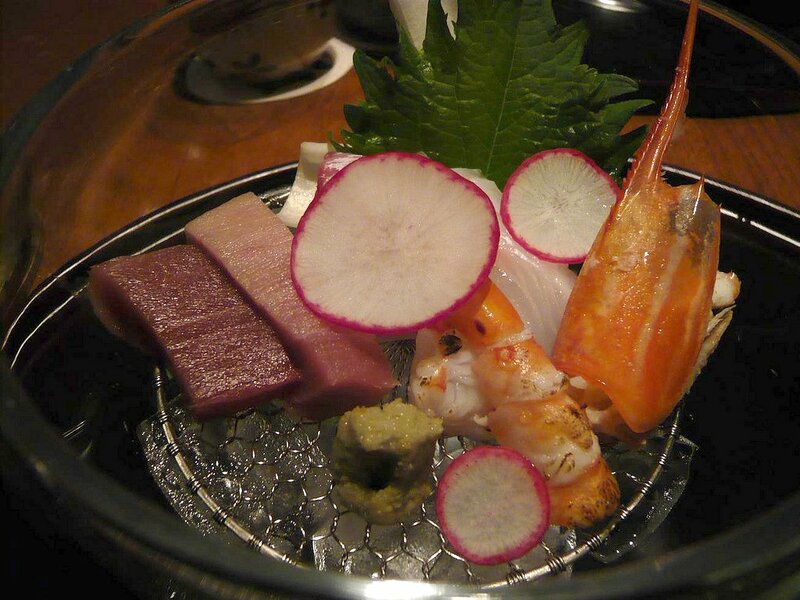 In 2008, the couple opened up Wakuriya and began serving kaiseki with a contemporary touch. 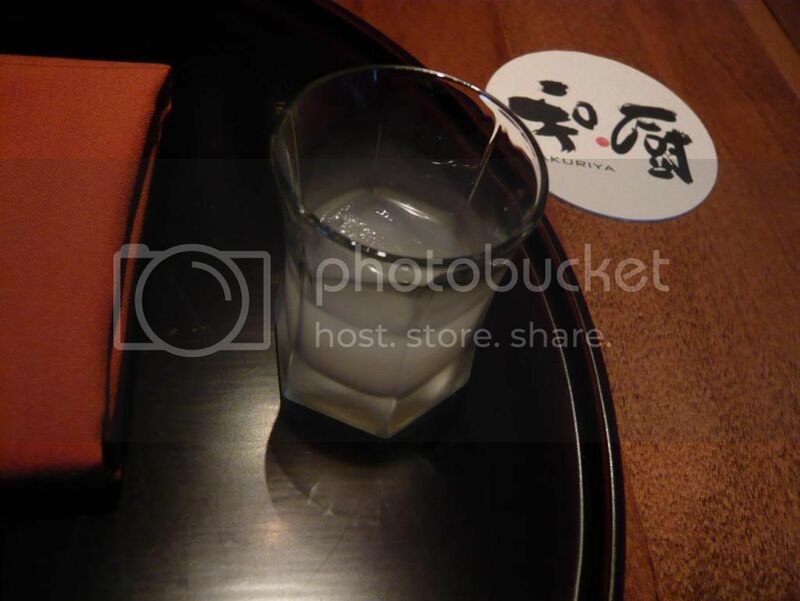 With a glass of chilled sake to refresh us from our travels, I sat in anticipation. Remember that kaiseki is a ritual, and thus there is an order to everything, even if we are doing this Cali-style: casually. 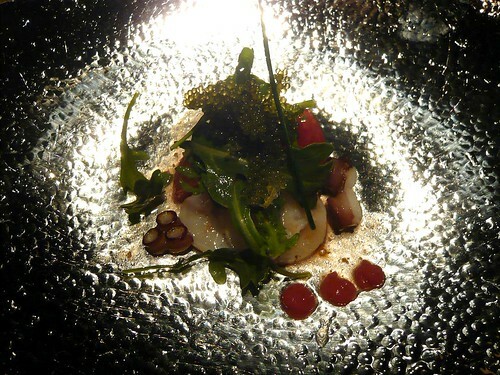 Sakizuke (starter): nama-tako (octopus) and tomato salad with umi-budo (green caviar) and bainiku. A nice and light starter of fresh and chewy octopus to whet our appetites. The wakame/seaweed added not only a Japanese touch but also a nice flavor and texture combination. 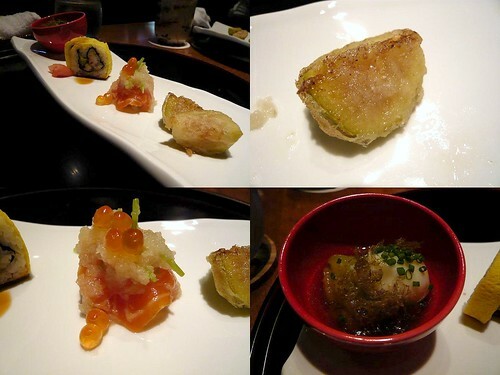 Zensai (appetizers): Ichijiku (fig) tempura, unagi and avocado roll with kinshi (egg) sheet, Tasmanian trout, and nasu (eggplant) in umami dashi. 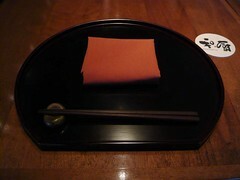 The zensai is representative of the rest of the meal with something fried, something broiled, dashi broth, etc. The use of seasonal, non-traditional ingredients is exemplified in the fig tempura in this dish. 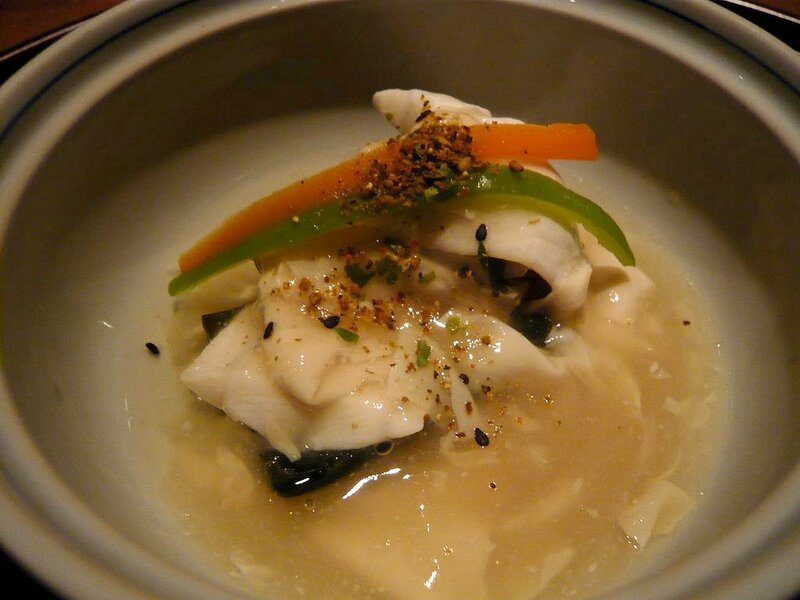 On mono (hot dish): medai no yuba-mushi. Steamed butter fish coated in soft tofu skin. The moistness and delicateness of the butter fish is accentuated by the tofu skin. The quality of the fish is on par with what you would expect at a highly regarded sushi restaurant. 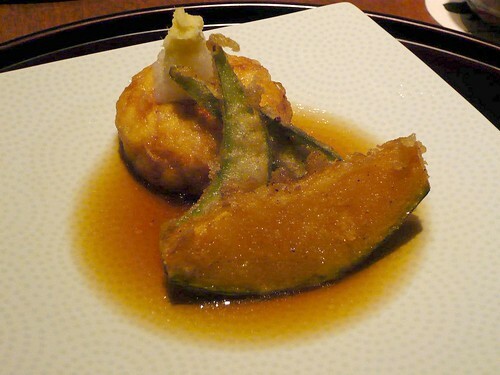 Age mono (deep fried dish): deep fried scallop, corn, and tofu cake, with vegetable tempura. It was impressive how they managed to get such light and crispy tempura coating that's so thin at the same time. All the more impressive that it managed to hold the soft scallop and tofu cake together. A perfect palate cleanser, lightly sweet and refreshing, yet does not shock you with the temperature change the way granita might. 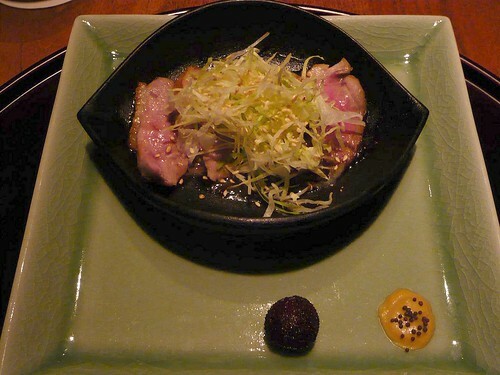 Yaki mono (broiled dish): Maple Leaf Farms duck with negimiso-yaki. Tender and perfectly broiled duck slices with very well balanced flavors, neither over seasoned or over sauced. Gohan mono (rice dish): A choice between gyu-don and yakidai ume-shiso chazuke. 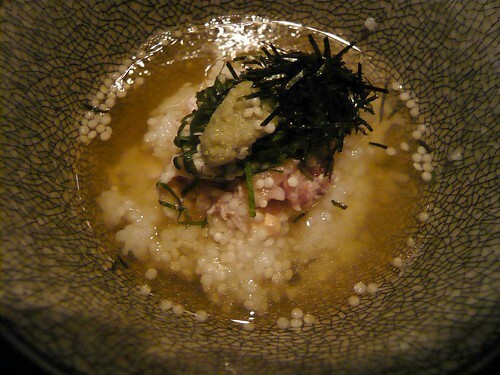 I chose the chazuke: Grilled tai snapper with pickled plum and shiso basil over rice in dashi broth. My companions were surprised I opted for the "fish" dish instead of the other meat option for the rice course, but I had to insist on having chazuke when I have the opportunity. This chazuke does not at all disappoint and perhaps was my most memorable dish that night. Their dashi broth was very satisfying and made a great end to the meal. I'm sure I'd be craving this when it gets cold out. 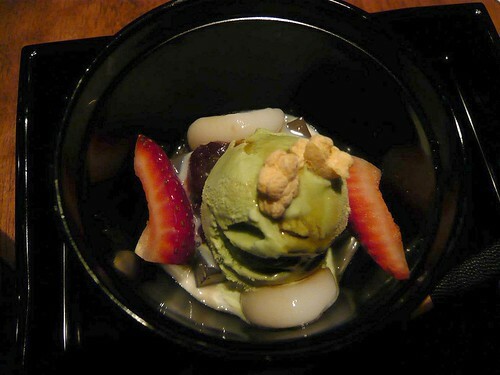 Despite how simple the dessert initially looked to us - ice cream - we were happily surprised and impressed with all the little things we found such as the wonderfully chewy texture of the mochi and the distinctive flavor the kuromitsu added. This was possibly my favorite meal in the San Francisco Bay area in the past few months. Oftentimes during a tasting menu you'd feel that individual dishes do not go together that well, or that at the end of the meal you've had an unbalanced meal. Not so at Wakuriya. Each dish was well prepared and the entirety of the meal was harmoniously tied together. Wakuriya changes their menu monthly so I will definitely be looking forward to checking back in with them sooner rather than later. Considering what you received, this looks like a good value. 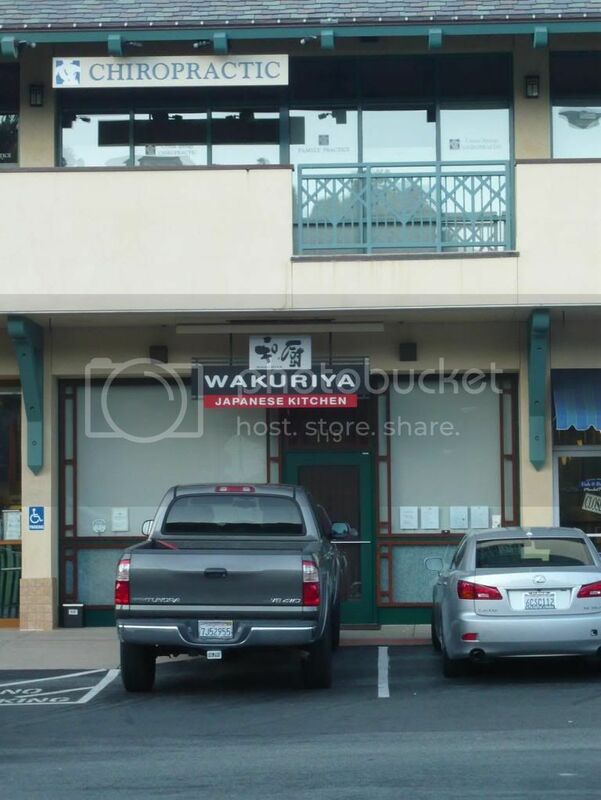 What do you think a meal at Wakuriya would cost if the restaurant was in L.A.? Food GPS: I definitely didn't mind paying $85 for that meal. Wakasan has a similar $95 meal but I liked Wakuriya better. If it was in West LA the meal would easily go for $100+. Maybe in Torrance it could keep the same - if not lower - pricing? So you've had the $95 at Wakasan? I haven't seen it on your blog. I've had the $35 and $55, and am thinking about the $95 for next time.